What happens when an event coordinator meets a fireman? 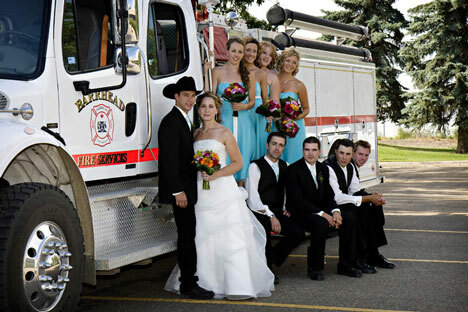 A really well-organized Alberta country wedding, with a little fire-fighter flare, of course! 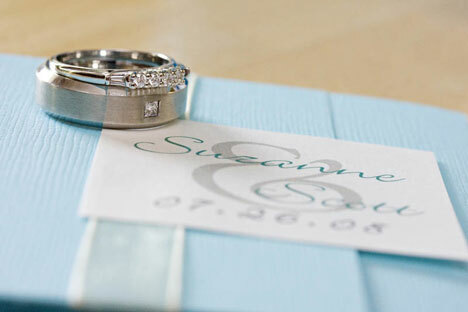 Suzanne and Scott met through friends, and those friends played a huge part in their wedding day and, of course, were members of the wedding party! 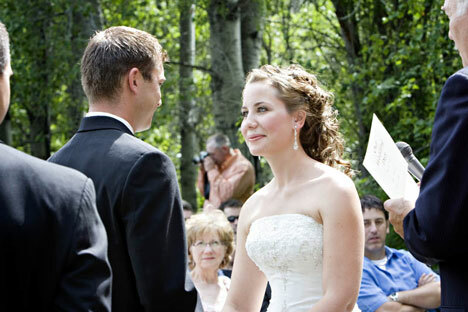 Even the make-up/hair stylists were friends – Kacey Browning of High River, Alberta and Nikara Brasnett of Pincher Creek, Alberta traveled up to beautify the bride and bridesmaids. 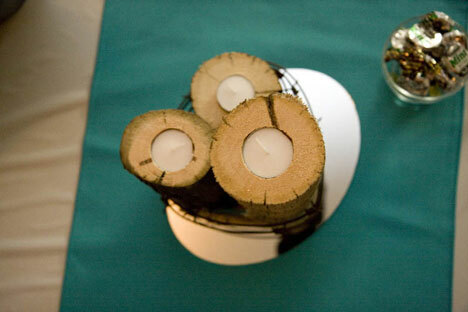 The gorgeous and unique flowers were from Funky Petals in Westlock, Alberta. 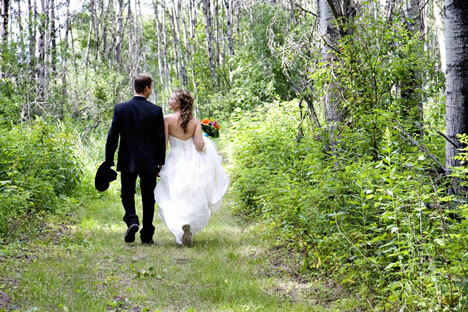 The wedding took place on Scott's parents' beautiful acreage just minutes outside Barrhead, Alberta. 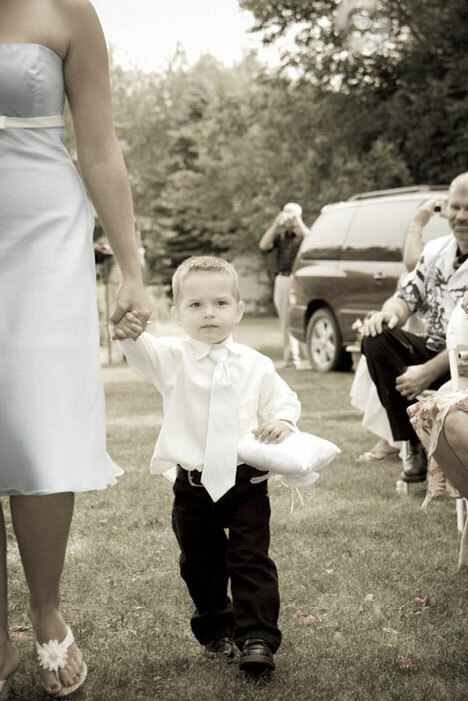 Tucked in among the beautiful trees, family and friends gathered to celebrate their marriage on a hot, sunny summer day. 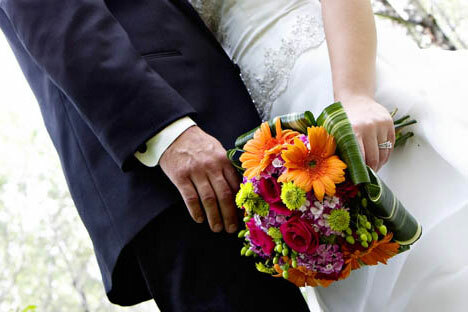 The bride and groom's families did all the prep work for the wedding, including the food, and the result was an amazing, close-knit celebration. 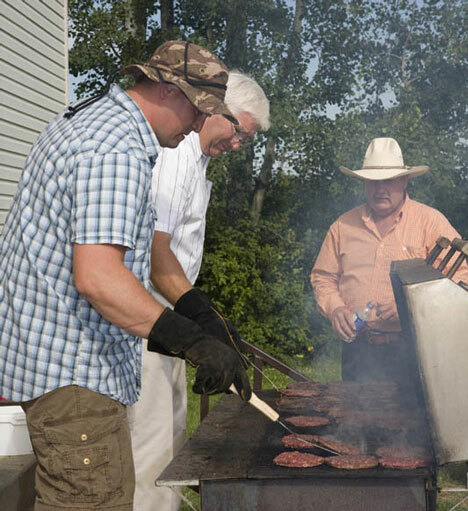 The reception took place just down the road from the acreage at the Summerdale Hall, where family and friends cooked up some delicious Alberta beef burgers on the barbecue. 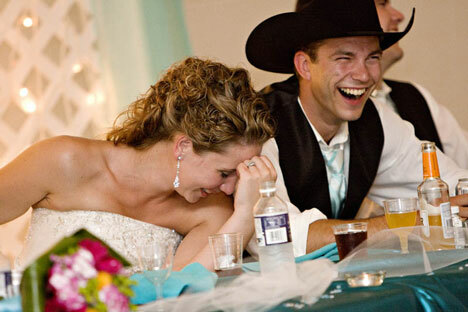 The cake was from Co-op in Westlock and Suzanne's stunning dress was discovered at Denilore Bridal in Edmonton. Rob from Starlight DJ Services in St. Albert, Alberta was enlisted to provide the music for the celebration and entertained everyone by getting up and dancing to every song. The kids loved him! Thanks to Suzanne's organizational skills and the help of family and friends, the wedding went off so smoothly, everything seemed effortless! ...then back to the acreage for family photos, and the last stop before the reception was the Barrhead Fire Department, where the deputy chief generously let us use one of the department's new fire trucks for photos and then gave Suzanne and Scott a ride out to the hall, including a grand entrance with flashing lights and blaring horn. Scott, who graduated from fire school earlier this year and is a fireman with the City of Edmonton, was thrilled with the special treatment – and everyone else thought it was pretty darn cool, too! 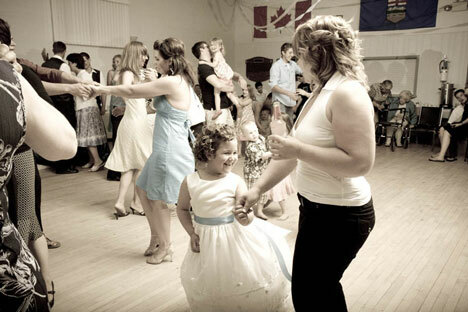 Find all these and more Alberta wedding services, listed in our Directory..